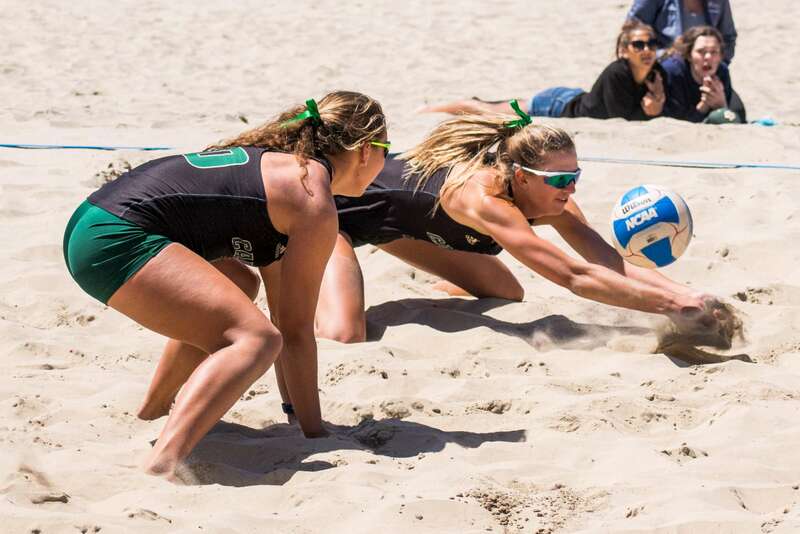 In what has become typical Cal Poly beach volleyball fashion, the No. 4 Mustangs swept both of their opponents Friday, April 20 during the Mustangs’ senior day. The Mustangs were set to play the Vanguard Lions, San Jose State Spartans and Feather River College Golden Eagles but Feather River did not show and therefore canceled their match against the Mustangs. The Mustangs started off strong against the Lions, taking them down easily. The Mustangs held the Lions to single-digit set scores for the majority of the match. Senior Raeann Greisen and freshman Macy Gordon defeated the Lions’ pair of Eliana Johnson and Charity Dennis by scores of 21-2 and 21-13 in the No. 3 position. Senior Taylor Nelson and junior Adlee Van Winden played in the No. 1 position, defeating the Lions by 21-10 and 21-5. 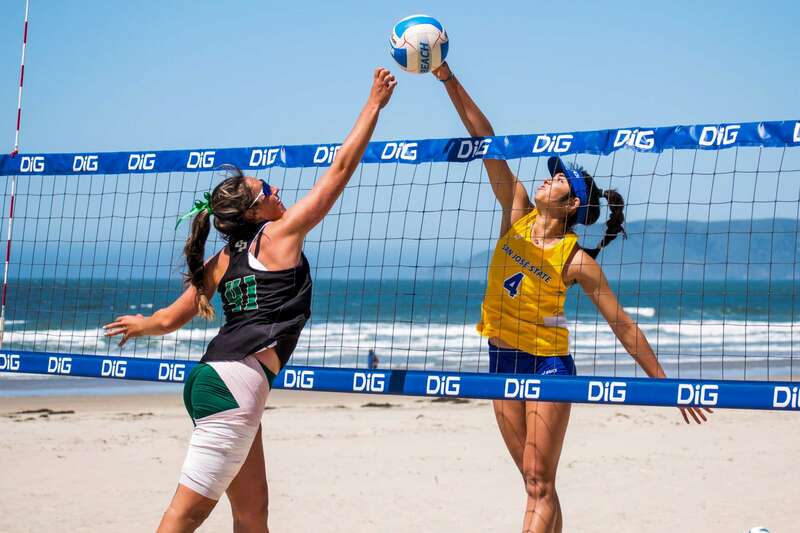 The Mustangs went on to sweep the Spartans, winning all but one of their matches in two sets. Sophomore Emily Sonny and junior Samantha Manley took down Ciara Reistad and Julia Golbeck in the No. 2 position with scores of 21-12 and 21-9. No. 5 pair of senior Hannah Hubbard and sophomore Heather Pembroke held on to the sweep for the Mustangs, taking down Ryann Thomison and Summer Avery narrowly with scores of 21-13, 19-21 and 15-8. For seniors Nelson, Hubbard and Griesen, it was a bittersweet moment. “It’s very sad, there are a lot of emotions. [We] spent a lot of time at this beach, but it’s been a great season, so [we are] just hoping to finish the season strong,” Nelson said. The wins lift the Mustangs’ record to 25-5 overall, but they remain at 5-1 in the Big West Conference.